Herzegovina and Mostar are known for the Old Bridge in Mostar, great wine and cheese. Since last year, a great comic festival organized by MoStrip gets on this list as well. The team from Mostrip invited us last year (read how it went down last year here and you can see our gallery here), and it was a delight to see so many younger and older comic fans gathered in Mostar. As soon the festival was complete, the guys were already making plans for the festival next year, which is coming in a few days, 9th and 10th of December. What makes us really proud of this comic organization are their activities, which are during the whole year and not during just a few days of the comic festival. 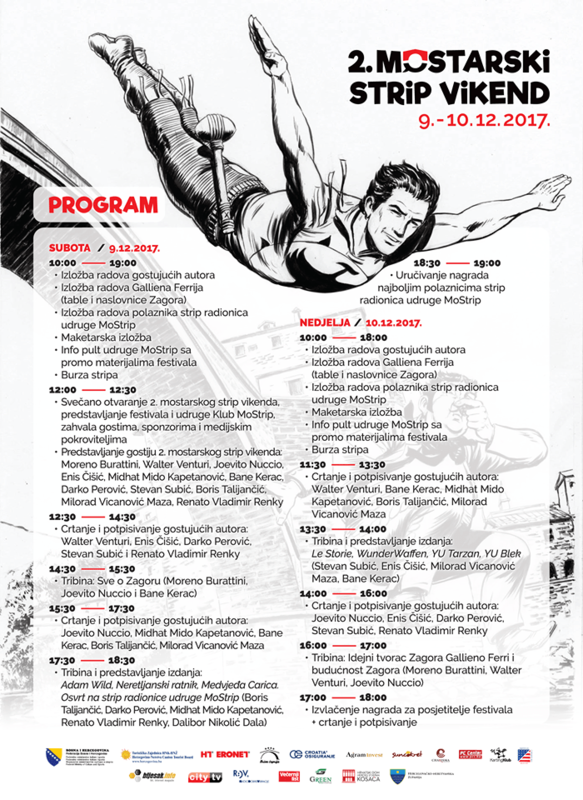 Mostrip organized workshops for young comic fans during this year and this weekend you will be able to see their work displayed, and eventually in a few year, maybe the first Sergio Bonelli or Marvel comic artist from Mostar! As last year, there will be a lot of activities, now over the whole weekend. 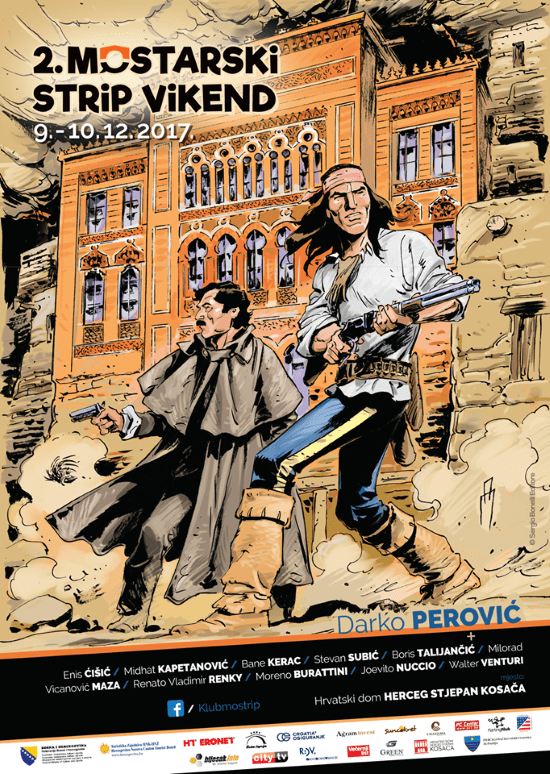 Exhibitions of the authors which will be guests of Mostar comic weekend, drawing and signing sessions, forums, discussions, presentations, giveaways and a lot of interesting things in Mostar this weekend! As last year, the guests produced some great posters, with comic heroes coming to Mostar! MORENO BURATTINI (Milan / Italy) – The main editor and screenwriter of Zagor, one of the most popular heroes in our region, in the Italian publishing house, Sergio Bonelli Editore. In addition to the screenplay and modernization of Zagor’s character, where he introduced a lot of novelty and freshness in the series, he worked for various fanzine, as a co-author of several books about Zagor, initiator and associate of several editions and author of the biography of Guido Nolitta – Sergio Bonelli sono io. He is the winner of many awards in the field of scenarios. 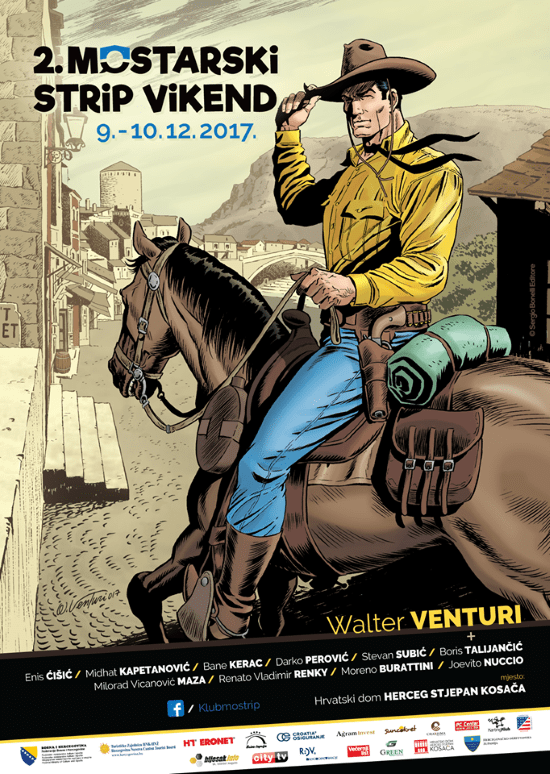 WALTER VENTURI (Rome / Italy) – Artist on Tex, Zagor, Brad Barron and The Great Belzoni in publishing house Sergio Bonelli Editore (SBE). He is characterized by a clean and detailed drawing. Before coming to the SBE, he worked on a number of different projects and was the creator of several comic heroes. 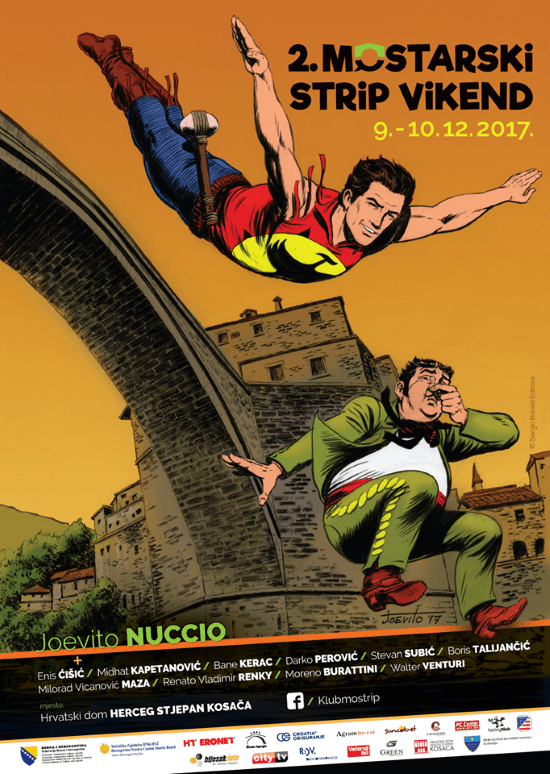 JOEVITO NUCCIO (Sambuca di Sicilia / Italy) – Artist on the Zagor series at the publishing house Sergio Bonelli Editore (SBE). He is characterized by a detailed drawing, similar to the drawings by the designer of Zagor, Gallieno Ferri. He has worked on a relatively small number of Zagor episodes, precisely, because of the detailed drawing and other work, but every episode is little masterpiece. BRANISLAV BANE KERAC (Novi Sad / Serbia) – One of the most successful and productive comic artists in these areas. Currently working in the SBE on the Zagor series. His work was published in a number of comic strips, editions and magazines. He is the creator of superhero Cat Claw, which is very well accepted in the rest of the world as well. The older audience knows him for his work on Tarzan, Blek and Cobra. DARKO PEROVIC (Belgrade / Serbia) – Comic artist of a distinctive and recognizable style. He has worked with some of the most famous writers and released for various publishing houses from Spain, Italy and France. He is currently working for SBE on the Magic Wind series. BORIS TALIJANČIĆ (Split / Croatia) – Croatian comic book artist with a very detailed drawing. In his career, he has worked as an illustrator and a comic book artist. Founder of Comic Strip and author of several domestic comic releases. He is best known for the Hammerfall series, which he has done for the publisher Dupius. 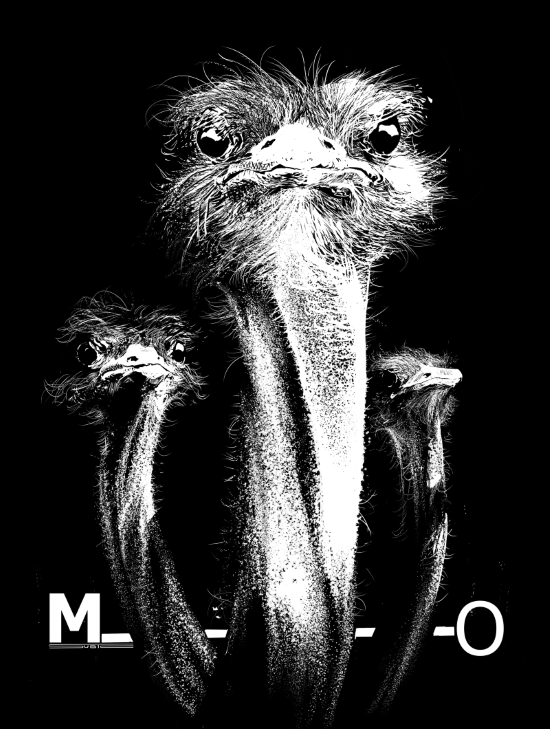 MIDHAT MIDO KAPETANOVIĆ (Sarajevo / B&H) – A domestic author who professionally works on concept art, media pre-production and visual marketing. In his career, he has worked on various projects from the sphere of film, theater and computer games. 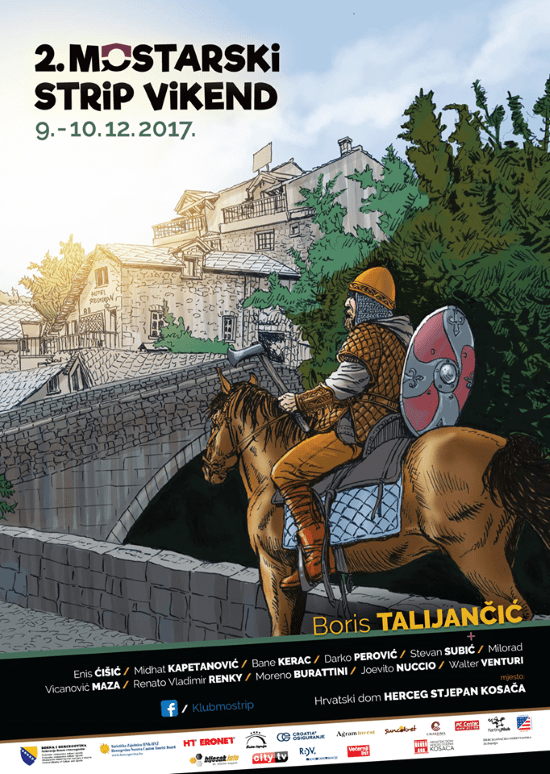 At the Mostar comic weekend, he will present his new project from the comic world. STEVAN SUBIĆ (Zrenjanin / Serbia) – Comic author, illustrator and graphic designer. He is characterized by a heavy and “dirty”, highly recognizable, drawing style. He has published in various journals in Serbia and Italy, currently working for Italian SBE and French Delcourt. He has won numerous international awards. MILORAD VICANOVIC MAZA (Laktaši / B&H) – One of the last year’s guests. He works on numerous domestic and foreign projects. The most famous project is his WunderWaffen series for the French publisher Soleil. Except for France and B&H, his works are also extremely popular in the Netherlands, Germany and Japan. ENIS ČIŠIĆ (Sarajevo / BiH) – Another one of the last year’s guest. Comic artist, illustrator and graphic designer. From many works and engagements, cooperation with the American publishing house MARVEL is emphasized. He held this year’s workshop for the high school students organized by MoStrip in collaboration with American Corner Mostar. RENATO VLADIMIR RENKY (Gradac / Croatia) – Last year’s guest and leader of this year’s workshops for elementary school students organized by MoStrip and the National Library of HNŽ Mostar. Previous story Crestfallen by Dybeck/Cakic is on Kickstarter!